I love cool breeze! 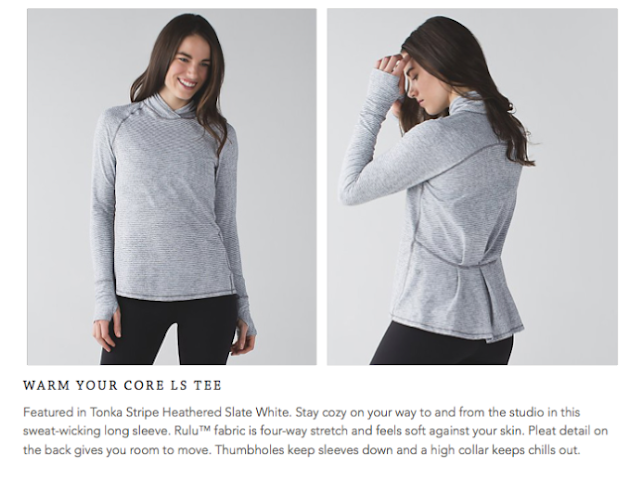 And I love the Warm It Up LS rulu and style details. Home run for me. Is Cool Breeze a greyish light blue? Or is it more like a light Lullaby? Love that longsleeve wow cant wait to see more pics of it! 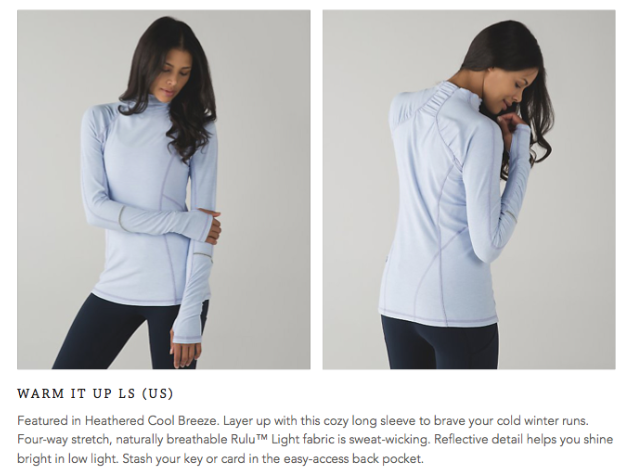 I love the look of the Warm It Up LS, although I wonder if I truly need another long-sleeved running top since I live in a warmer climate. We've had some chilly nights though. And I've been having to run after dark, when it seems even cooler. And I love the Cool Breeze CRB. I wore my old one last night! I also wish they'd do more Swiftly Tanks in these darker heathered colors. I don't wear short sleeves much (to run). It's either cool enough for long-sleeves or I'll wear a tank. I am loving the richer colors. More tanks though!! 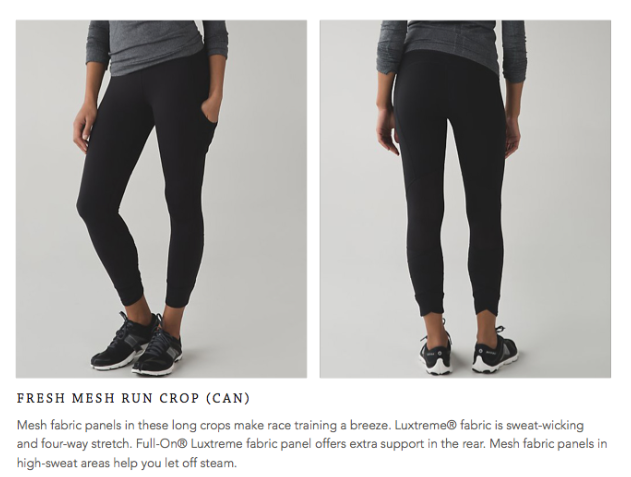 @ anon 9:52 am - The Pace Queen Tights are full on luxtreme so you shouldn't have to worry about sheerness when you bend over. I like luxtreme bottoms for the gym since I find them cooler in my climate. However, if you lay on your back for yoga the back zipper of the Pace Queen tights might bother you. If you intend to also use the bottoms casually, then I prefer luon since I think luxtreme looks too technical. One nice thing about luxteme is that is doesn't pick up pet hair like luon does. 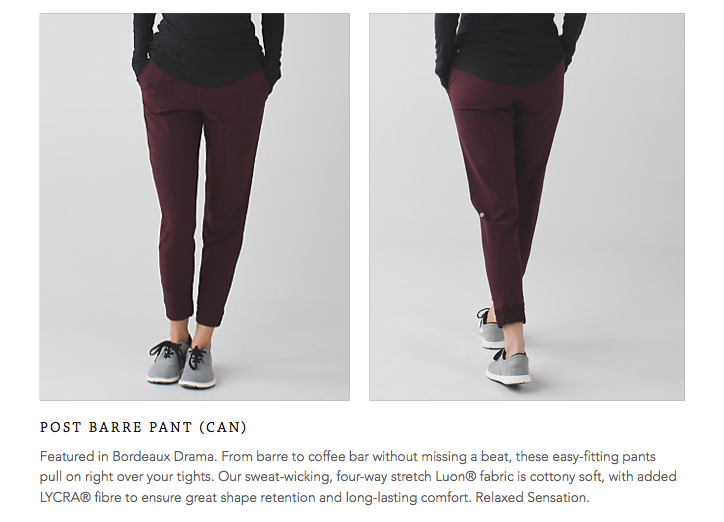 I like the look of the post barre pant as well. 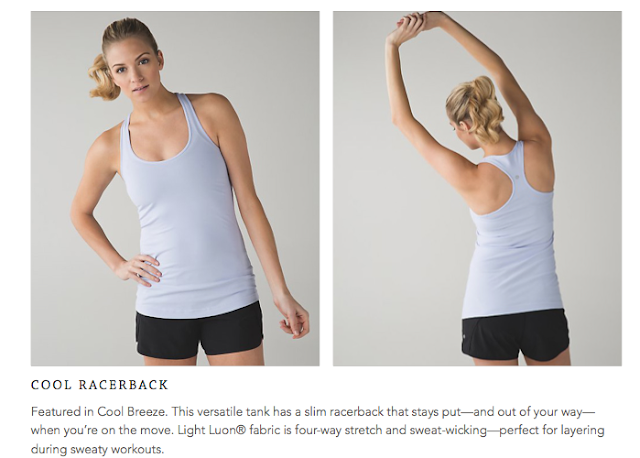 I love jet crops and all of the styles that I can go to work in and not just work out in. Are these in stores yet? (Canada) I am wondering the price point. just looked through some posts, didn't realize peacock was so blue and just saw the more recent color comparison. the heathered looks so 'teal' on my screen. I am interested in the CRB, should I be worried and buy this the first week it come out? Was hoping to curb my spending this money. Also, is it me or is that peacock swifty more like a teal?